Even as three executive orders on immigration signed by President Trump during his first weeks in office have received extensive scrutiny, far less attention has been devoted to the public relations machinery set into motion by these orders. They mandate sweeping data collection and reporting on immigrants and refugees in ways that seek to underscore societal and economic costs with no countervailing attention to positive effects from immigration. The three executive orders—spanning immigration enforcement at the border and in the U.S. interior, and temporarily suspending refugee resettlement and travel for certain noncitizens from six Muslim-majority countries—include requirements for federal agencies to issue dozens of reports annually on everything from the cost of the refugee resettlement program at federal, state, and local levels to how much federal money has gone to Mexico over the past five years, how many noncitizens have been charged in terrorism-related investigations, and how many are detained in state and local prisons and jails. Beyond representing downpayments on key Trump campaign promises such as building a border wall or implementing “extreme” vetting, the executive orders—especially the one on interior enforcement and its companion implementation memo—seem particularly designed to gather information that can be used to turn public opinion against unauthorized immigrants and to shame states and localities that are perceived to protect them. Executive Order 13768, “Enhancing Public Safety in the Interior of the United States,” requires the Department of Homeland Security (DHS) to provide weekly reports on criminal actions committed by noncitizens, quarterly reports “studying the effects of victimization by criminal aliens,” and quarterly reports on the immigration status of all noncitizens detained or imprisoned throughout the United States. The memo implementing the order, signed by Homeland Security Secretary John Kelly on February 20, mandates a monthly report on the apprehension of removable noncitizens, including detailed information such as criminal history and prior immigration violations. The executive order and memo also direct U.S. Immigration and Customs Enforcement (ICE) to publicize a weekly report on those state and local jurisdictions and law enforcement agencies that limit their cooperation with ICE by declining to honor federal detainers and hold deportable noncitizens up to 48 hours after the conclusion of their sentence until ICE can pick them up. The Declined Detainer Outcome Report, the first of which was issued Monday, includes the name of the noncompliant jurisdiction; the citizenship of the released noncitizen; the person’s “notable criminal activity,” which includes not only convictions but also charges that have yet to be adjudicated; and the dates the detainer was issued and declined. The report also lists the names and policies of jurisdictions that have limited their cooperation with ICE—the so-called “sanctuary” cities. The ICE document appears to be the first of the many reports required under the immigration executive orders (see Table 1). Reporting to Drive Policy Change? Beyond the listing of “sanctuary” jurisdictions (a catch-all phrase that can span a range of policies) in the ICE report, the Trump administration is seeking to take more direct action. The interior enforcement executive order threatens to restrict federal funding to sanctuary jurisdictions and instructs the Attorney General to take “appropriate action” against such jurisdictions. Such collection and use of governmental information to disparage other government entities is highly unusual, if not unprecedented. A comparison could be drawn with the No Child Left Behind Act (NCLB), which required public schools to report their progress—or lack thereof—on accountability metrics. The intention was in part to spur schools into better performance. However, the reporting was also designed to inform the public more fully on their local schools, and empower parents to transfer their children to higher-performing schools. Unlike the NCLB requirements, the DHS reporting on sanctuary jurisdictions does not mandate comprehensive reporting or metrics across all jurisdictions. Instead, the report will selectively identify anecdotal occurrences where local government policies differ from those of the federal government. There is no requirement that the reports be comprehensive or include cases in which the jurisdictions complied with federal immigration detainers. For example, while stressing that noncompliance with ICE detainers “adversely impacts public safety,” the ICE detainer report issued Monday does not note that some jurisdictions have limited their compliance as a result of court orders, concerns about litigation, or to comply with state and local laws. Releasing these selective reports will invariably help build a perpetual news-generation mechanism that showcases instances where immigrants and refugees pose a threat to society or impose costs. While the reports may make the public more aware of specific situations where a crime was committed, releasing them devoid of contextualizing information such as overall crime rates or comparable data on citizens will skew public perceptions of immigrants, both legal and unauthorized. 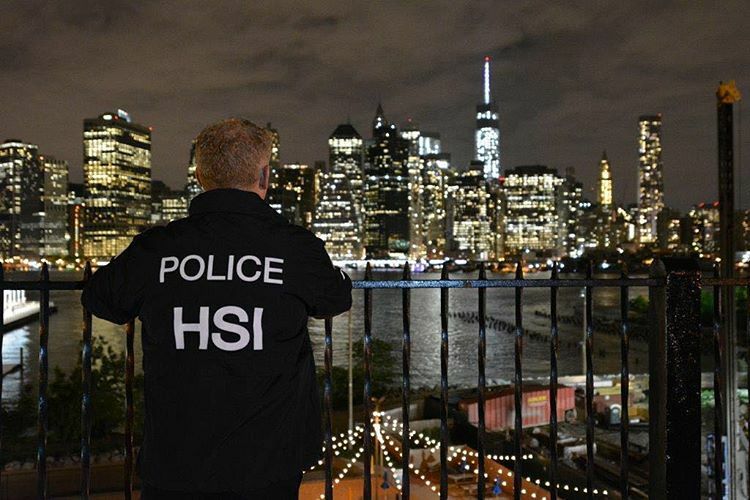 While DHS already publishes many reports on enforcement actions, they have been confined to topline reporting and only rarely delve into high-profile individual cases, such as the dismantling of a particular human trafficking ring or arrest of a high-value target. And while the U.S. government broadly reports data on criminal activity in the entire U.S. population, such reports are less regular and contain less personal data than the proposed reports on immigrants. For example, the FBI’s Uniform Crime Reporting annually provides generalized statistical information on reported crimes. And the Federal Bureau of Prisons publishes monthly data on the federal inmate population. No current federal criminal justice data source publishes information on individual criminal charges as they occur. By publishing weekly reports on criminal actions committed by noncitizens, in addition to other regular public releases under the new executive orders, the U.S. government will be reporting more frequently and in greater detail on violators of civil immigration laws than it reports on individuals who have been convicted of criminal violations. The reports mandated in the three executive orders and the implementation memos lay out vast data-collection and reporting requirements for DHS, the Justice Department, the State Department, the Department of Health and Human Services, and the Office of Management and Budget at the federal level, as well as for localities across the United States. As noted, the interior enforcement executive order requires DHS and the Attorney General to report quarterly on the immigration status of all noncitizens incarcerated in the 3,141 federal, state, and local prisons and detention centers across the United States. While the Bureau of Prisons currently reports monthly statistical data on the federal inmate population, it does not include their immigration status and limits its reporting to convicted prisoners in federal prisons. Thus, responding to the mandates will mean expanding this system or setting up a parallel one that provides information not only on the immigration status of federal inmates, but also that of individuals incarcerated in state and local prisons and jails, including of people who have not been convicted. If the requirements outlined in Table 1 are met, the government will produce at least 120 reports within the first year of the Trump presidency alone—a not insignificant burden on government resources. What use these reports will be put to beyond shaping public opinion remains to be seen. But it is clear that the administration will have at its disposal significant new reserves of data and can regularly generate a stream of reports with selective information that can be strategically employed to promote a narrative that helps advance distinct aspects of the President’s political agenda on immigration. Sources: White House, “Executive Order 13768 of January 25, 2017, Enhancing Public Safety in the Interior of the United States,” Code of Federal Regulations, title 3 (2017): 8799-8803, available online; John Kelly, Secretary, Department of Homeland Security, “Enforcement of the Immigration Laws to Serve the National Interest” (memorandum, February 20, 2017), available online; White House, “Executive Order 13767 of January 25, 2017, Border Security and Immigration Enforcement Improvements,” Code of Federal Regulations, title 3 (2017): 8793-8797, available online; John Kelly, Secretary, Department of Homeland Security, “Implementing the President’s Border Security and Immigration Enforcement Improvements Policies,” (memorandum, February 20, 2017), available online; White House, “Executive Order 13780 of March 6, 2017, Protecting the Nation from Foreign Terrorist Entry into the United States,” Code of Federal Regulations, title 3 (2017): 13209-19, available online; Donald J. Trump, President of the United States, “Memorandum: Implementing Immediate Heightened Screening and Vetting of Applications for Visas and Other Immigration Benefits, Ensuring Enforcement of All Laws for Entry into the United States, and Increasing Transparency among Departments and Agencies of the Federal Government and for the American People” (White House memorandum, March 6, 2017), available online. Multiple Courts Block Trump Administration’s Revised Travel Ban. On March 6, President Donald Trump signed an executive order temporarily halting issuance of new visas to nationals of six designated countries and suspending the U.S. refugee resettlement program. Just before the order was set to go into effect on March 16, it was partially enjoined by two federal district courts. First, in a case brought by the state of Hawaii, a federal court in that state on March 15 issued a temporary restraining order blocking implementation of the travel ban and suspension of the refugee program. The following morning, a federal court in Maryland also temporarily enjoined parts of the executive order, in a case brought by the International Refugee Assistance Project and HIAS, a refugee resettlement agency. Both courts found the plaintiffs were likely to succeed on claims that the order violated the Establishment Clause of the Constitution by intending to discriminate against Muslims seeking to enter the United States. The new executive order was designed to replace one issued on January 27 that had provoked protests and legal challenges across the country and was eventually partly blocked by a federal judge in Seattle. The revised order included a number of changes: it removed Iraq from the list of banned countries; allowed noncitizens with valid visas, including green cards, to travel to the United States; and no longer indefinitely banned refugees from Syria. It also removed language prioritizing the admission of refugees who are religious minorities in their countries of origin. Department of Homeland Security Issues Implementation Memos Detailing Enforcement Policies. On February 20, Homeland Security Secretary John Kelly signed two memoranda directing the implementation of President Trump’s immigration executive orders on border security and interior enforcement. The memos outline a massive overhaul in immigration enforcement, including a broadening of priorities for enforcement far beyond the convicted criminals and recent arrivals who were priorities under the Obama administration. Reflecting these revised priorities, enforcement actions have already taken place in which some of those apprehended were not convicted criminals or recent arrivals. The memos also call for expansion of the 287(g) program, under which deputized state and local law enforcement agents perform certain federal immigration functions. In addition, the memos indicate the possible expansion of expedited removal, which allows deportation of certain unauthorized immigrants without a hearing before an immigration judge. Further, parents who pay for their children to be smuggled to the United States may now be subject to criminal prosecution. Southwest Border Crossings Down 40 Percent in February. Illegal border crossings at the U.S.-Mexico border decreased 40 percent between January and February 2017, according to U.S. Customs and Border Protection (CBP) data. This is the first time since 2000 that crossings have dropped between January and February; they typically increase during this period by 10 to 20 percent. CBP also reported apprehensions of family units from Central America decreased by 66 percent, and apprehensions of unaccompanied children decreased by 55 percent. Trump administration officials and supporters attribute the drop to the President’s hardline stance on immigration. Additionally, arrivals of Cubans and Haitians without valid entry documents at ports of entry, which had spiked in the past year, were down drastically in February. In February, 65 Cubans and 218 Haitians attempted to enter, compared to 4,955 and 1,395 respectively in December 2016. These drops were likely due to policy changes at the end of 2016 and the beginning of 2017 introducing stricter treatment toward these migrants. DHS Considers Separating Children from Parents Caught Crossing the Border Illegally. Homeland Security Secretary John Kelly confirmed that DHS is considering separating children and parents who cross the border illegally, as a deterrent to new illegal immigration. Parents and children are usually detained together briefly in family detention centers before being released as their immigration cases proceed. Under the new policy, parents would be detained and children would be put in the custody of the Department of Health and Human Services’ Office of Refugee Resettlement (ORR) or that of a sponsor (usually a relative in the United States), the same placement process used for unaccompanied alien children. Kelly said the separation policy is meant to discourage illegal border crossings and avoid trafficker exploitation of children along the dangerous Central American and Mexican migrant routes. If enacted, this policy would likely increase pressure on the immigration court system, because children and parents seeking asylum would have their cases heard in separate rather than combined hearings, thereby increasing the volume of cases for the already overwhelmed court system. From October 2016 to February 2017, 57,267 family units were apprehended between ports of entry on the Southwest border and 19,273 presented themselves at ports of entry and were determined inadmissible. USCIS Temporarily Suspends Premium Processing of H-1B Visas. U.S. Citizenship and Immigration Services (USCIS) announced that starting April 3 it will suspend for up to six months the premium processing of applications for H-1B temporary worker visas. April 3 is the first day to apply for one of the 85,000 H-1B visas allotted for fiscal year 2018. Premium processing allows applicants to pay $1,225 to get their applications adjudicated within 15 days, compared to months under standard processing. It also allows an employer to know in an expeditious manner whether they will be able to hire the employee or should look for a different candidate. USCIS said the suspension of premium processing will allow the agency to address the backlog of applications and will thereby reduce overall processing times for H-1B visas. Nevertheless, individuals can request expedited processing during the suspension if they meet one of several criteria, including severe financial loss to a company or ​person, humanitarian reasons, emergency situation, or the request of a nonprofit organization that furthers the cultural and social interests of the United States. Fifth Circuit Allows Texas to Resume Enforcing Law Against Harboring Unauthorized Immigrants. The Fifth U.S. Circuit Court of Appeals ruled that Texas can resume enforcement of a 2015 law making it a felony to harbor unauthorized immigrants. The law had been blocked by a federal judge since April 2016. Both sides regarded the ruling as a victory—Texas because the law was upheld, and the plaintiffs (two landlords who do not ask tenants about their immigration status and a homeless shelter) because the appeals panel said their activities do not constitute harboring. The law is meant to crack down on human smuggling, Texas Governor Greg Abbott has said. Florida Judge Rules that Miami-Dade Deportation Policy Violates U.S. Constitution. Miami-Dade Florida Circuit Judge Milton Hirsch ruled that Miami-Dade County violated the Constitution by implementing a policy of detaining prisoners past their release dates at the request of U.S. Immigration and Customs Enforcement (ICE). Hirsch based his decision on the “anti-commandeering” provision of the Tenth Amendment, which prohibits the federal government from forcing states to carry out its responsibilities. Since 2013, Miami-Dade had refused to honor ICE detainers, except in cases of inmates who had committed serious crimes. In the wake of President Trump’s January 25 executive order laying the groundwork for withholding federal funds from so-called sanctuary cities, however, Miami-Dade Mayor Carlos Giménez reversed his jurisdiction’s stance, ordering county officials to comply with ICE detainers and becoming the first big-city mayor to change his policies following issuance of the executive order. The county immediately appealed the decision to the Florida Third District Court of Appeal. Jessica Bolter is a Research Assistant with MPI's U.S. Immigration Policy Program.